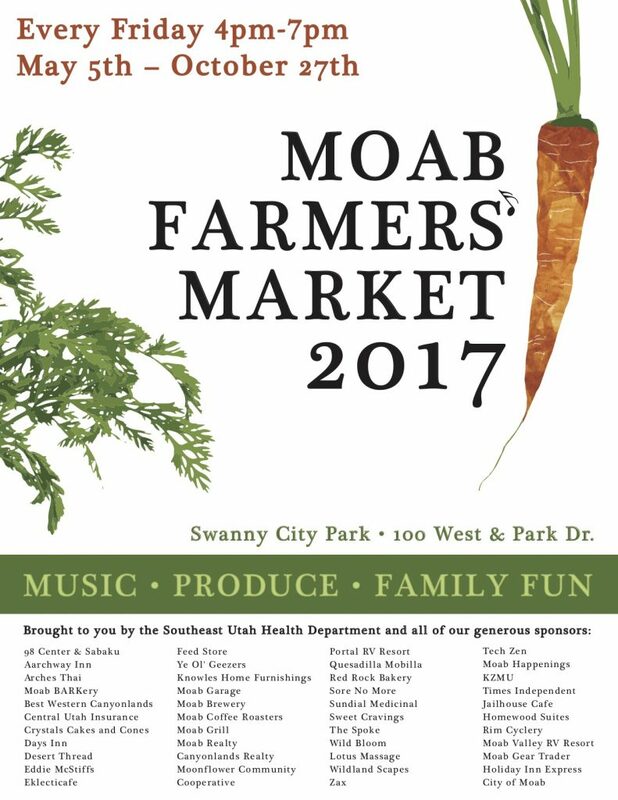 The Moab Farmers’ Market is held on Fridays from 4-7PM at Swanny Park (400 N. 100 W.) in Moab Utah. 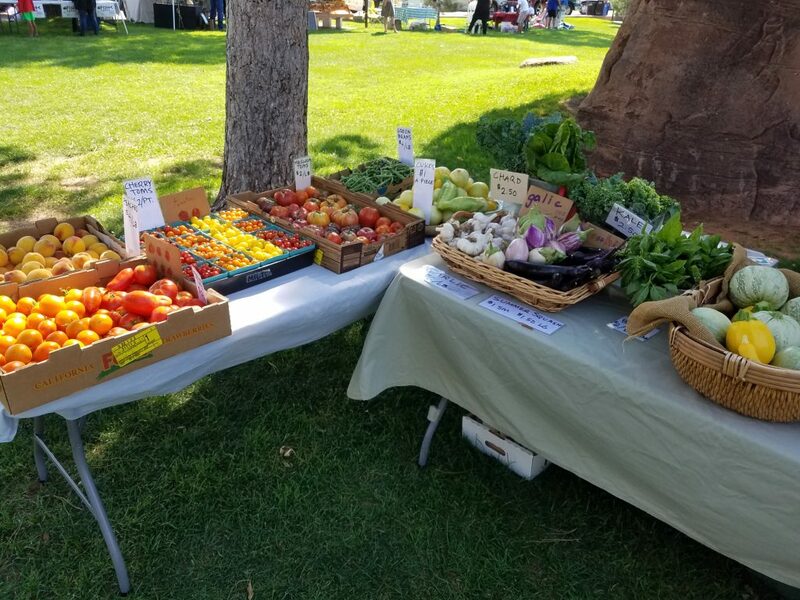 Local producers bring fresh produce and fruit to sell. Locally owned food trucks and eateries are present with food to go and local crafts people have various jewelry, arts and crafts. Moab is a popular tourist destination and often a vendor will drop in and sell their products while traveling through. Local musicians entertain with music weekly. And a partnership with the Moab Folk Festival has created the Moab Free Concert Series which brings in bigger music acts on a stage throughout the market season. The best melons, home made baked goods and grass fed beef at a GREAT price! Local music, produce, and products. Well worth your time and money. 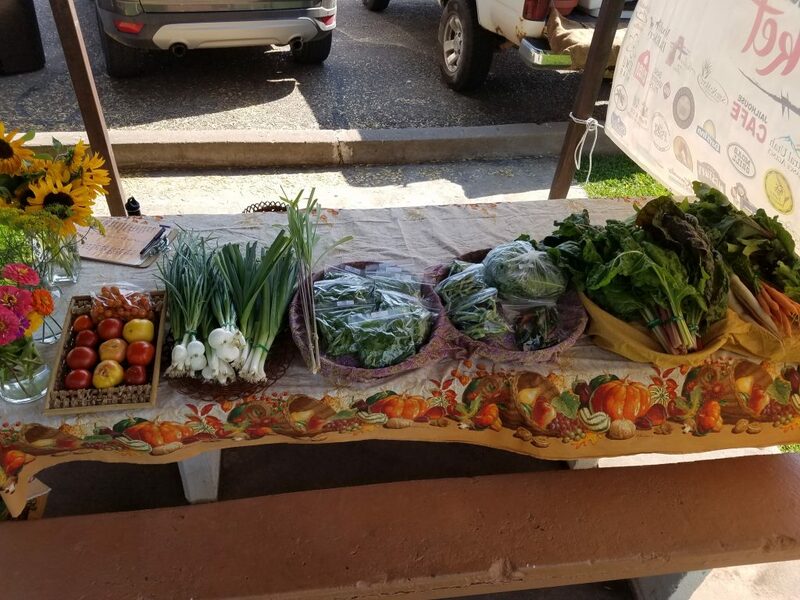 This entry was posted in Markets and tagged farmers market, Moab, produce on August 16, 2018 .